We encourage you to familiarise yourself with all the latest SEO techniques and relevant topics. We post material which is current and pertinent to learning SEO the right way. Our experience is extensive- as well as being Melbourne’s leading providers of SEO courses- we manage digital strategy for a number of national brands and small businesses. You can apply what you read here to your own website with confidence. If you have any questions or requests, use the form on the contact page, to get in touch. Findings presented throughout our SEO Blog, are based on stringent testing on a number of high ranking websites we have developed for use as research and evaluation of search engine optimisation. We do it this way in order to never expose a client site to risk. Our SEO Courses are the most comprehensive at any level. 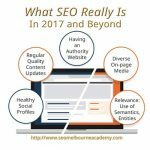 Browse the list of articles here as our Blog grows and see which level of seo training would be ideal for you. Our experience is extensive, and we hope these SEO tips and technique tutorials will help you grow your knowledge base. We assign topics for inclusion within these bite-sized lessons, based on the errors we see within the websites we work on. Every week, students come to us seeking help with search engine optimisation. You are welcome to submit topics for inclusion, or a website for review. Content will be added monthly. Subscribe to the SEO Blog RSS feed, just click the RSS icon and it’s done! If the large fashion houses present as a daunting opponent, to you the small online fashion retailer- fear not! You can beat them in the pursuit of high organic visibility- and outfox their moves on the internet. 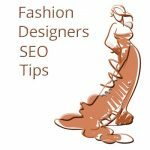 Our SEO suggestions can be implemented by people who manage their own websites to sell clothes or who use their online presence to draw inquiries which will lead to more walk-in traffic at store level. These techniques are also ideal for fashion designers who work from home, and produce limited numbers of styles and garments per season. 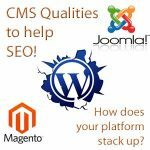 We provide a checklist of what to look for to ensure your website is built on an SEO friendly CMS. If you already have a site on an all-in-one hosting and building package, check this article to see that you can unlock the potential of your content to rank- otherwise you might as well be offline, if nobody can find you. Many of the popular CMSs contain inbuilt handicaps which make it difficult for a website to reach its full potential for organic search visibility. There is good news- problems with content management systems can be overcome with a little expertise and patience. Understand what SEO is and how you should approach the task of optimising a website if you are a marketing intern, agency account manager or small business owner. We explain the changing landscape of search, from queries, artificial intelligence and crafting pages to keep everyone happy, at all levels of your enterprise.